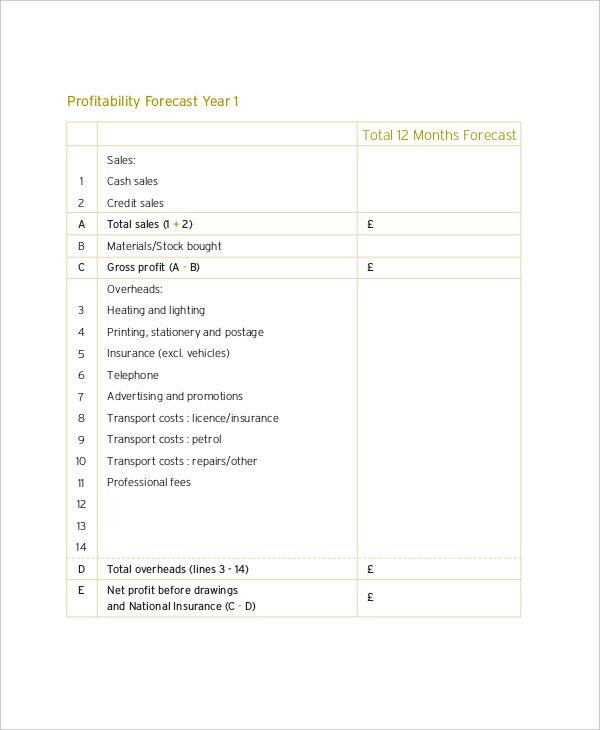 A financial projection template helps an entrepreneur or a manager to project the operating profits and also develop projected financial statements. 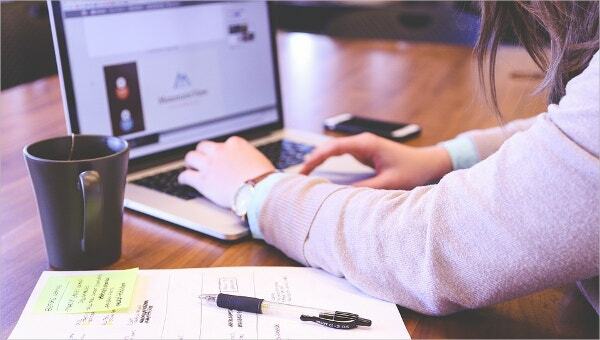 The template is designed for variety of people from those who have no accounting knowledge to finance professionals to understand the facts and figures mentioned in the project report template. 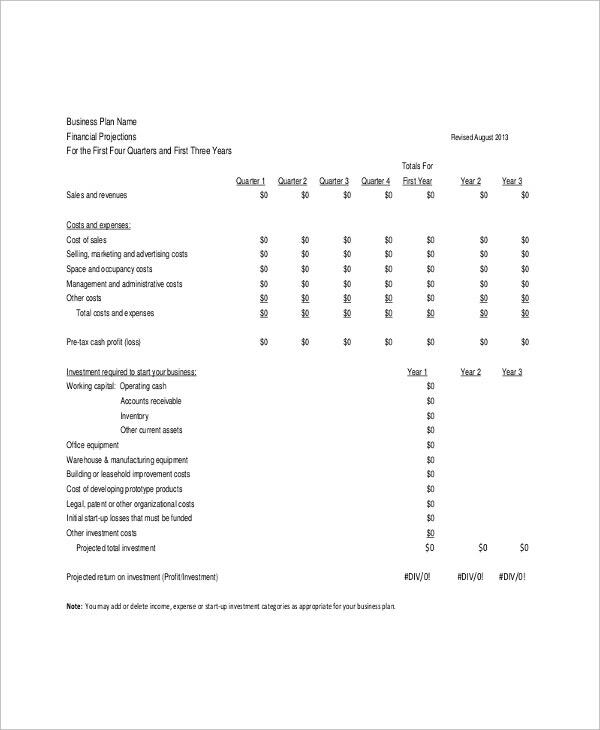 Download the template to calculate your payroll costs, startup expenses, cash flow, sales forecast, breakeven analysis, balance sheet, income statement, amortization, depreciation and many more for all organization. Get the sample examples to understand the working of the template before you actually download for your use.You can also see Project Template. 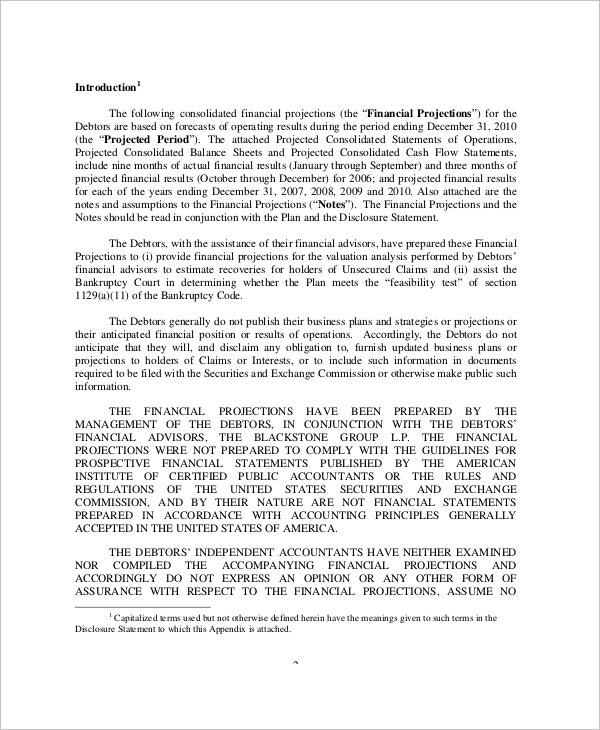 > What are the different forms of Financial Projections? The 12 month balance sheet template deals with the monthly and yearly expenditure and gains of the company. This 12 month balance sheet will help you state where the unnecessary expenditures are going in to and where can there be profit from. With the help of the 12 month balance sheet you can always make a perfect estimate of the expenditure of the project you are working in to. The sale forecast financial projection deals with how much sales does a particular project generates in a year. With the help of the sales estimate you can easily conclude what amount of price and amount of money should be spent on which project. This way you get your unnecessary expenditure on laid back projects off the table as well as give the ones gaining profit a boost. > Why are Financial Projections Important? Financial projections are important since they give you the rough estimate of how much should you spend on a particular project. They not only give you a budget estimate, but also give you a sales estimate. The financial projections spare you from getting in to a loss. With this you can have an organized project in front of you without burdens, of investors, equities or debts. 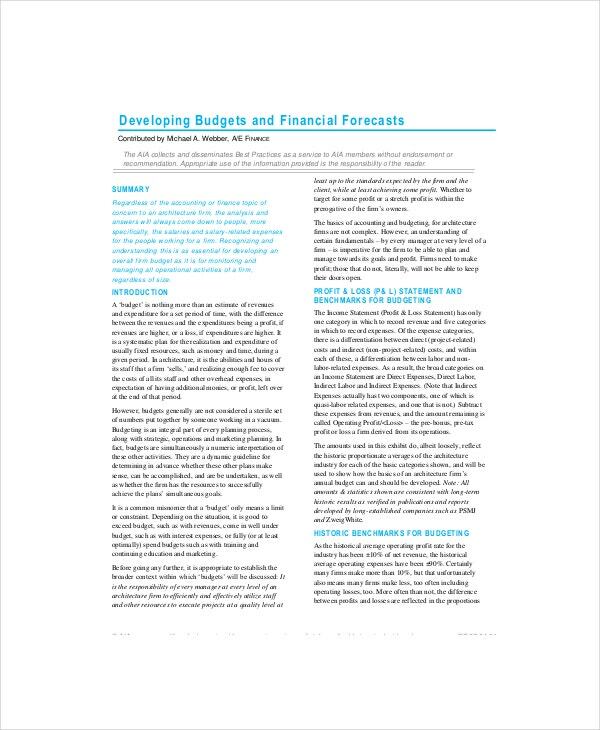 With financial projections you can go a long way when it comes to project boosting. You can also see Project Summary Template. > What are the Methods to be Followed to Create Financial Projections? 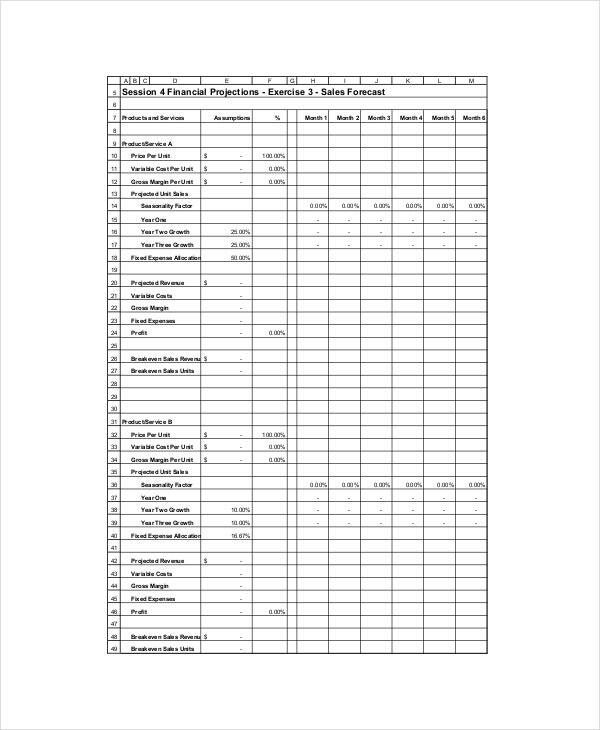 There can be many ways in which you can create your own financial projection templates. 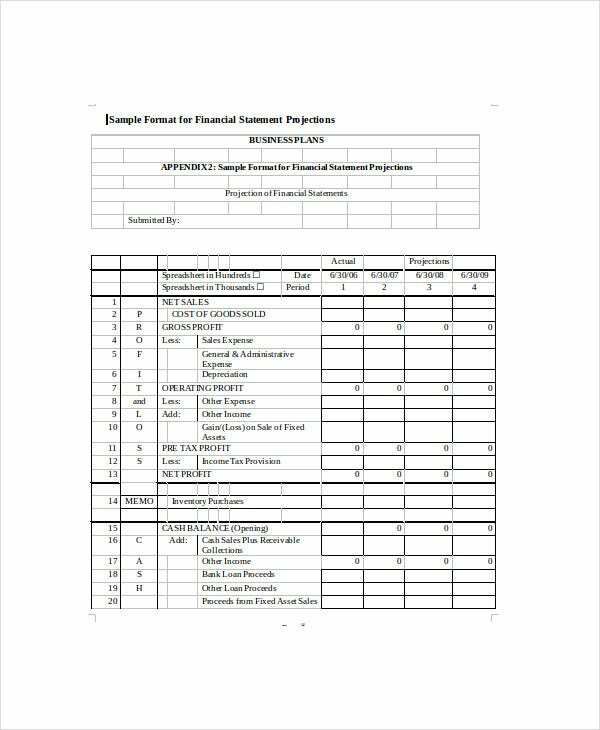 You can get excel documents and word documents for financial projection template designs. The downloaded samples can be easily customized since they are compatible in all formats and plugins. They are browser friendly versions that can be attached to online document as well.You can also see Project Charter Template. You can also create a financial projection template by making columns on your word document or using columns of your excel worksheet. The columns can calculate the gross monthly sales and the gross monthly expenditure. Further on you can add in calculation formulas in order to get your estimate for the expenditure of the project. When it comes to our financial projection templates, the new guarantee the best designed templates based on professional designs. The templates have guaranteed a 99.99% success and any kind of criticism or negotiation is openly considered and can be altered. 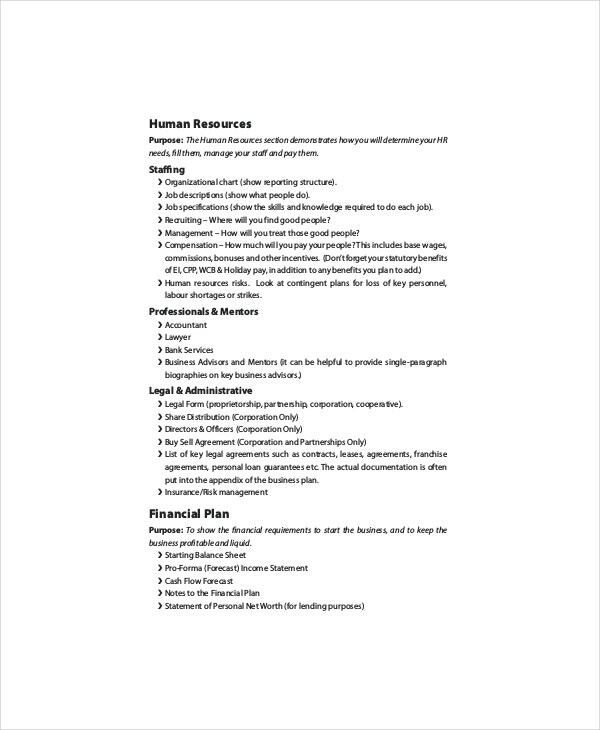 The templates are available in all possible formats such as PDF, PSD, and PDH format.The excel worksheet and the word document are some of the common formats used by all. When it comes to taking care of the compatibility options then we bring in regular updates that makes it compatible with all latest browsers.